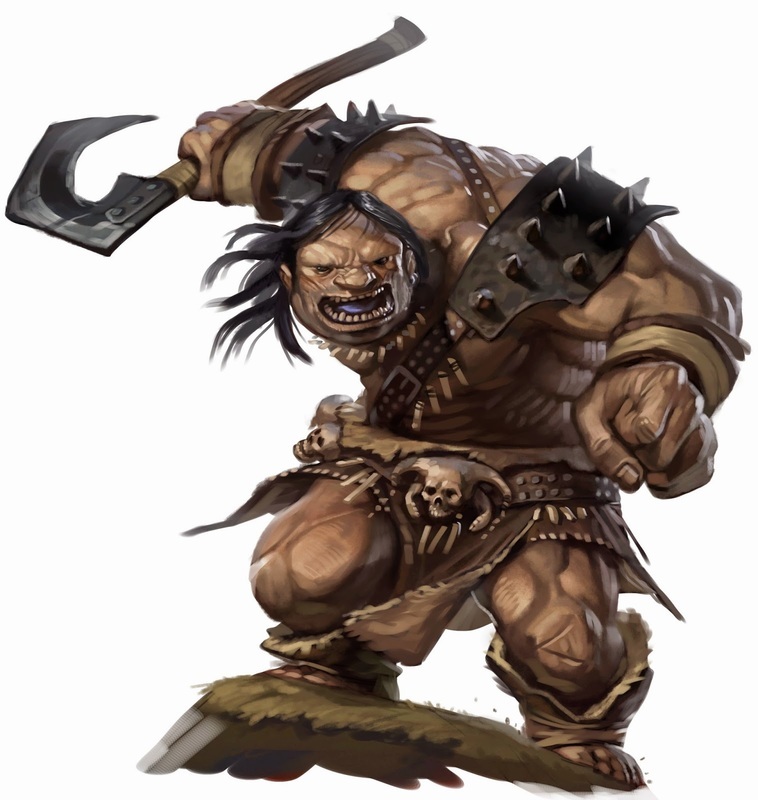 Before Combat Ogres rarely lay ambushes, and when they do, it’s not so much because they are crafty as because they are lazy. If they can kill a man with a well-thrown javelin, they don’t have to fight or chase him down. During Combat Once battle is joined, ogres wade into the thick of melee, swinging their clubs at any target that presents itself. Morale When their prey turns out to be more dangerous than they thought, the rare moment of good sense seizes ogres; they flee if reduced to less than 5 hp.